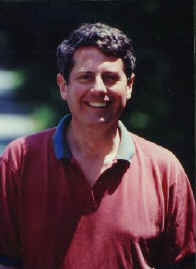 I'm John Mudge and I'm the President and owner of the Durand Press which I formed in 1992, intending to publish a variety of books about the White Mountains of New Hampshire - a beautiful area that is visited by over 6 million people per year. I have visited and hiked in these mountains for many years. I enjoy reading about history but when I looked for history books about this area I found that much of the history of the region was being lost and forgotten. Visitors could come to the area and see the mountains and hike the trails, but they could not easily learn about the rich and long history of the region. These books about the White Mountains are all intended to make a visit to the region more enjoyable by providing the visitor and the reader with a history of the region-its people and the development of the area. Having even a small understanding of the local history will enhance your visit to the area. I've enjoyed publishing books and I've also published books on other topics. In 1999 I published Eugene O'Neill’s short but beautiful piece, The Last Will and Testament of An Extremely Distinguished Dog. O'Neill's sentimental and whimsical epitaph to his dog contrasts with his other writings and illustrates another side of his genius. This edition is illustrated with paintings by 19th century artist John Martin Tracy-one of the most distinguished dog artists of that period. The Midwest Book Review described this edition as "a literary and artistic treat for all dog fanciers, and will be of especial comfort to those who are grieving through the loss of a beloved family pet." And yes, this is a web page in the age of the internet, but I still believe in the importance of being able to hold a book in your hands and reading it.